Few months back there was some hype that Google was not indexing & hence would not rank content hidden behind tabs & “click to expand” menus. 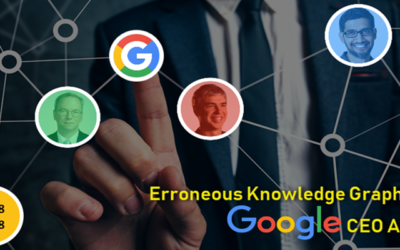 The same was confirmed by Google Engineer John Muller during a Google webmaster central office-hours hangout. Detailed information was covered by Barry Schwarz on his blog post and by Jennifer Slegg on her blog post. 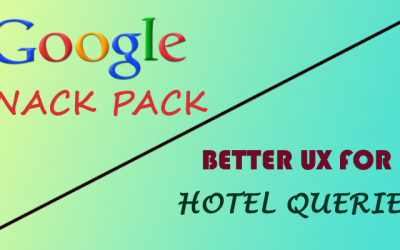 Google considers these contents as hidden content and will not prefer to send a visitor to those pages because visitors cannot find the content in that page by default or without expanding the tab. It helps in better user experience as the users will not have to scroll a lot to see the contents and if a user is not interested in those contents, he/she can skip to the rest of the contents quickly. 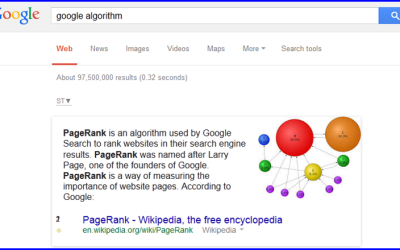 Recently we found that Google is indexing & ranking contents in tab which needs click to expand. And interestingly Google is not only showing the hidden content in the organic search result but also showing it in its answer box as well. 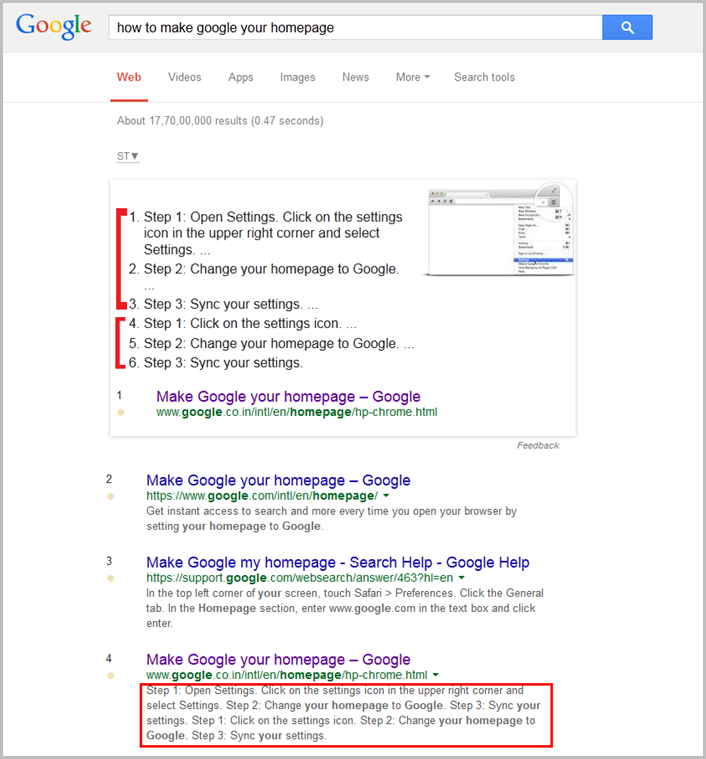 When you’ll search for “how to make google your homepage”, you’ll get an answer box from Google as below. And it’s amusing that the same 3 steps are repeated in the answer box twice. Why? I’ll try to explain it later as we need to focus on our main topic first. When you’ll visit the above page, you can’t find the contents showing in the above answer box. You’ll have to click on the “Get Started” button to see the same steps mentioned in the answer box. If you check the text version of the cache page by Google, you can find the same content there. So it’s clear that Google is caching & indexing contents hidden in tabs or “click to expand” menus. Now, it seems that Gary Illyes from Google has enlightened us on this topic by a clear answer in Stackoverflow some days ago. 1. 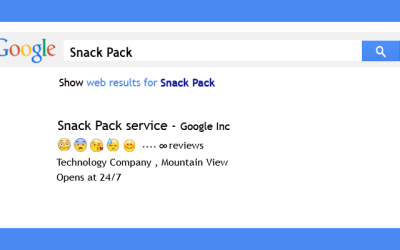 Google wouldn’t index the dynamically generated content behind tabs. 2. HTML content is okay behind tabs and can be indexed. 3. But content behind tabs would be weighted less. The 3rd statement is really interesting. May be when Google drawing quality stats of your content in a page, it would assign less weight to such content behind tabs. Or while ranking contents (pages), Google will prefer pages with such contents without being hidden behind tab to pages having the content hidden behind tab. Why The Same Steps Are Repeated in The Answer Box? In conclusion, it is best practice to design & place your important content in the page so that visitors can see that by default, then you may place less important content in tabs but always focus on providing best user experience. I did a couple of search on Google recently and got feedback from in the answer box. I was like, well,if this what Google does now then its awesome because I don’t need to search further! Its good to know of the steps to take when answers are not forth coming or hidden from the answer box!